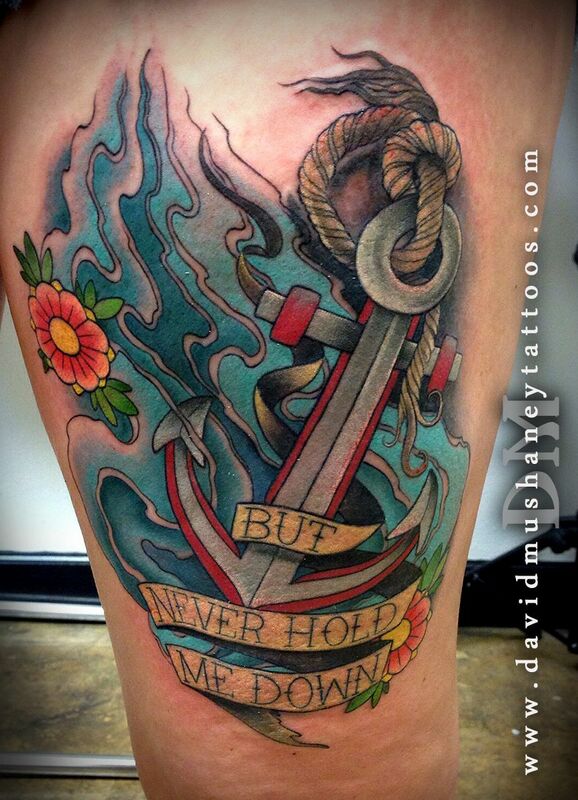 Here are a few photos of some of my recent tattoo work! 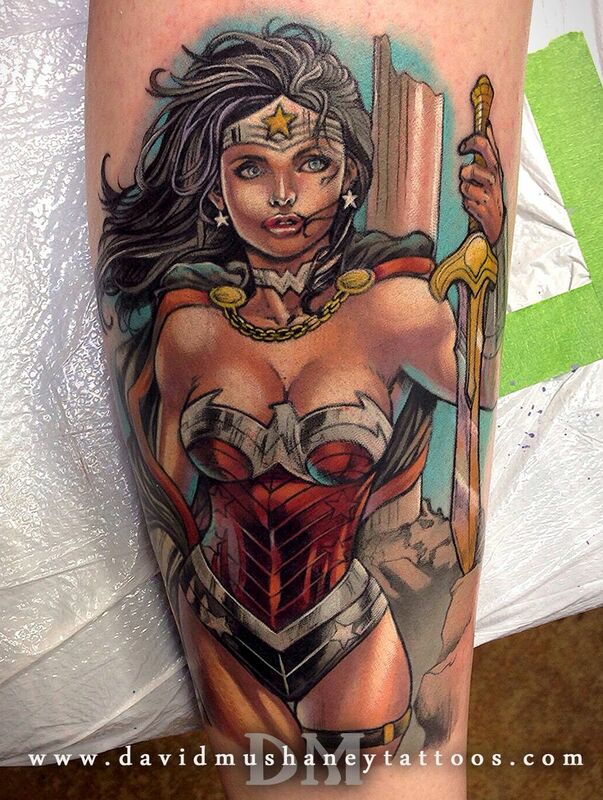 Here is a Wonder Woman calf tattoo I recently finished on a really great long time client of mine. 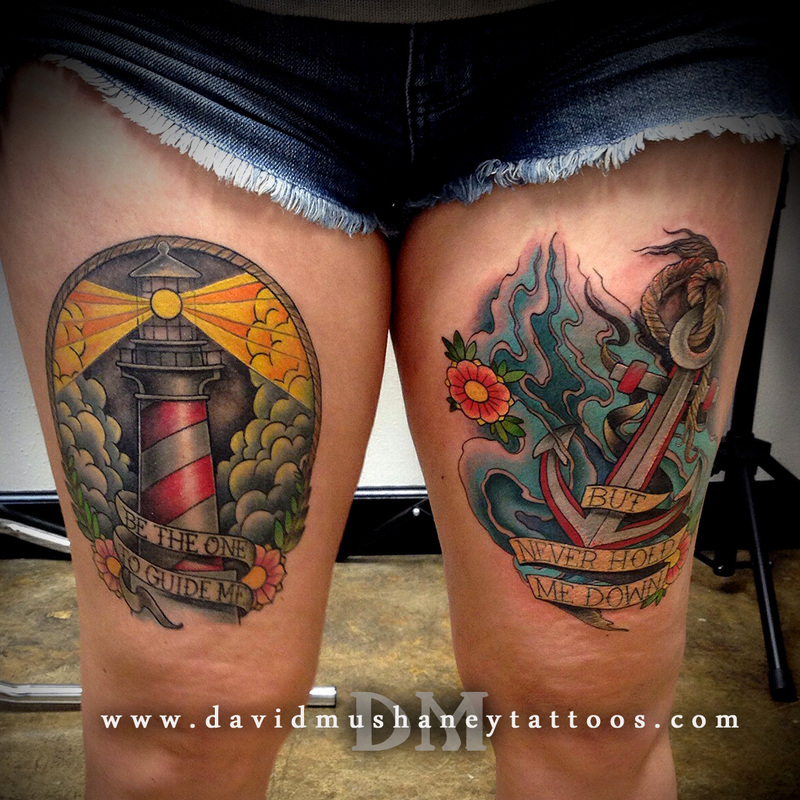 Matching thigh tattoos I did recently on an awesome tattoo collector! Close Up of the anchor part of this set. 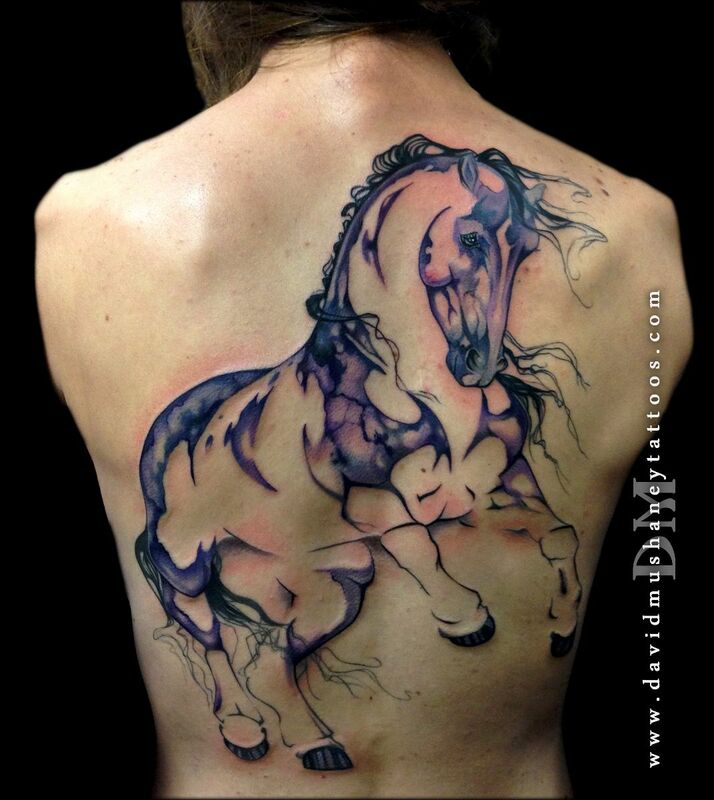 Watercolor style back tattoo inspired by artwork from Sarah Lynn Richards. I've been really enjoying tattooing in the watercolor and abtract styles lately, as well as comic book inspired tattoos. I'm currenly taking new appointments for December and January. If you are interested in starting a new tattoo in one of those styles, I would love to hear your ideas! Email me at www.DMTattoos.com for appointment info!